shelf. Swarms of mussels stop large vessels from manoeuvring. Toxic jellyfish, lobsters and whales start attacking human beings along the coasts of the world. 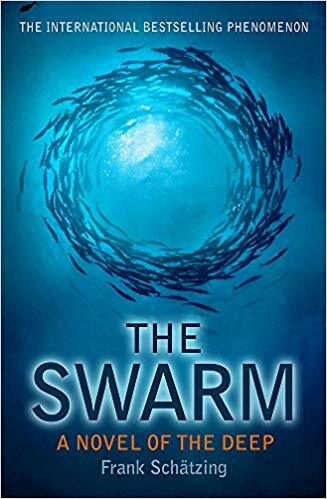 It follows a global group of scientists and military who come together to tackle one of the biggest challenges mankind has ever faced. They make the chilling discovery that we are not the only intelligent species on this planet – and that deep down at the bottom of the sea resides a collective intelligence which has suffered the ravages of civilization on its habitat and decided to fight back. 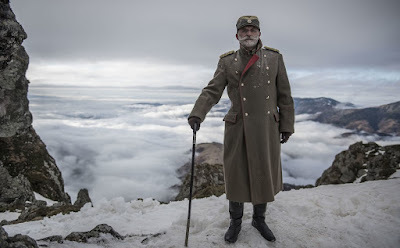 I've presented you with this one earlier this year, but now it has been announced that Bruce Willis WW2 epic drama AIR STRIKE (aka The Bombing) will hit US cinemas October 26th and VOD at the very same time. 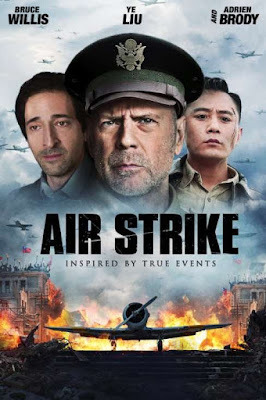 Also starring Adrien Brody and Asian super stars Fan Bingbing, Ye Liu and Nicholas Tse, the movie is set during World War II following five different Chinese people who fight their way through Japanese Air Force attacks to protect an important military machine in Chongqing, 1940. Bruce Willis plays a U.S. Army colonel who trains Chinese aviators to battle Japanese fighters! The movie was shot with a rather expensive $65 million budget! And did I tell you Mel Gibson is the artistic producer? I'm guessing he has waited for this role all his life: as 'Deadline' reports Dwayne Johnson will play Hawaiian king Kamehameha in Robert Zemeckis directed epic adventure THE KING based on the script from Braveheart's Randall Wallace! The movie should cinemas next year, currently shooting! 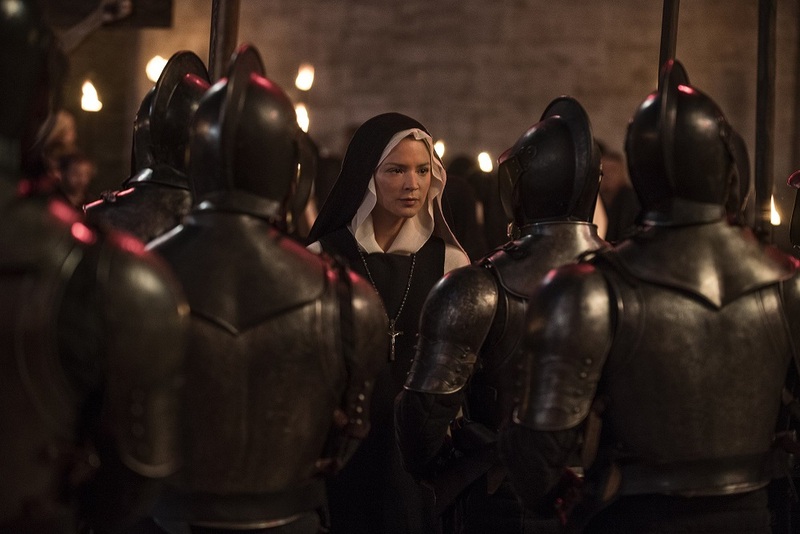 Carlini, a novice nun capable of performing miracles, who joins an Italian convent in the late 17th century, as plague is ravaging the land. While at the convent she begins a love affair with another woman. 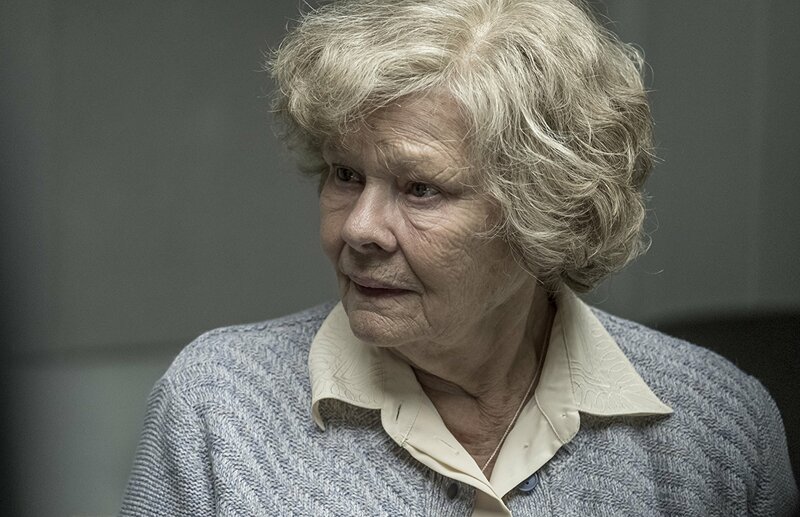 FIRST 'RED JOAN' CLIP WITH JUDI DENCH AS KGB'S LONGEST SERVING SPY WITH TOM HUGHES IN THE CAST! DAME JUDI DENCH AS A SPY! Continuing our coverage of the upcoming Toronto Film Festival, check out the first clip for Judi Dench's period set drama RED JOAN in which she plays Joan Stanley, KGB’s longest serving spy in Britain. Leo (Tom Hughes), a dashing idealist in search of adventure. 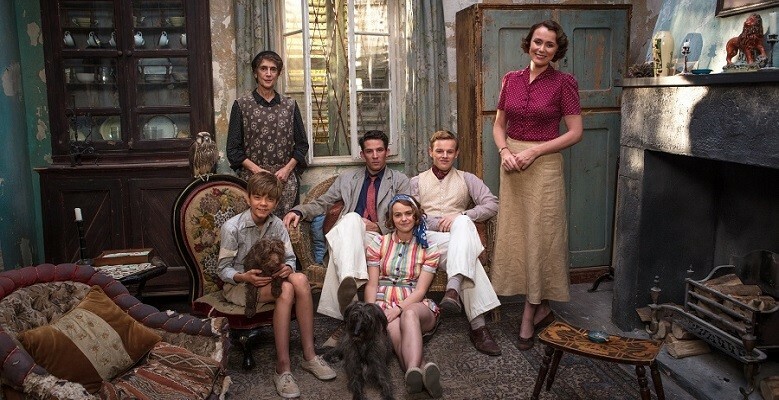 When the Second World War begins, Joan goes to work for Max (Stephen Campbell Moore) at a top-secret British intelligence project of great interest to Leo. Five different actors play Angelo throughout the movie! taken from his homeland and, after being sold, given the eponymous name through the sacrament of baptism. The film is inspired by the few surviving records of the life of the Viennese court moor Angelo Soliman. This one will open next week at Toronto Film Festival before it hits cinemas in France. MADEMOI SELLE DE JONCQ UIERES sees Cecile de France playing madam of the Pommeraye, a young widow removed from the world, who assigns to the court of the marquis of Arcis (Edouard Baer) who is notoriously licentious . After a few years of a happiness without flaw, she discovers that the Marquis is tired of their union. Madly in Love and terribly injured, she decides to take revenge on him with the help of Mademoiselle of Joncquières (Alice Isaaz) and her mother. sitcom which is back on the small screens from October 4th with 18 new episodes! 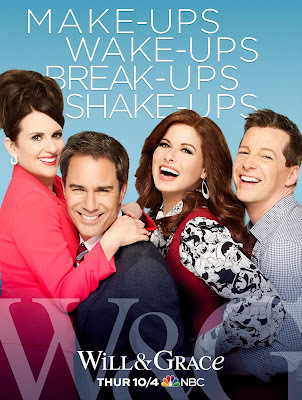 Matt Bomer will guest star as McCoy Whitman, a smooth talking, self satisfied TV news anchor who dates Will (Eric McCor- mack), while Minnie Driver is back as Lorraine Finster, Karen's (Megan Mullally) nemesis and stepdaughter. 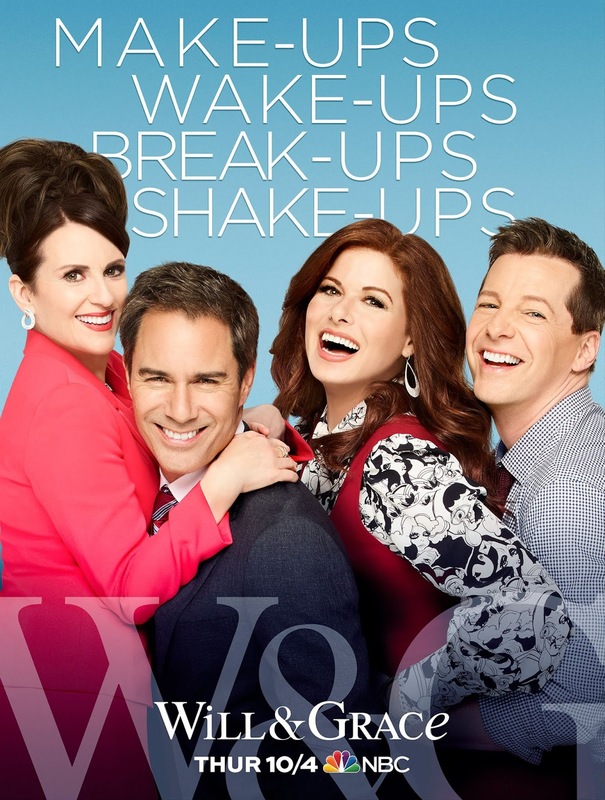 Olympic scater Adam Rippon is also appearing in one of the new episodes, while Friends star David Schwimmer will have a multiple episode arc as Grace's (Debra Messing) new love interest. Alec Baldwin will be back as Karen's multi millionaire lover. The Baxters are back September 28th, this time on Fox! young women to go into the sciences. Since she comes from a different political system this will open some new fun discussions and conflicts with Mike. Seventh season is back September 28th! ABC is developing new half hour comedy produced by Kelly Ripa and her husband Mark Consuelos. THE SANCHEZ WAY will follow a loud, proud, Mexican American family that lives by a very strict working class code. No word whether Kelly and Mark will also star in the new sitcom! 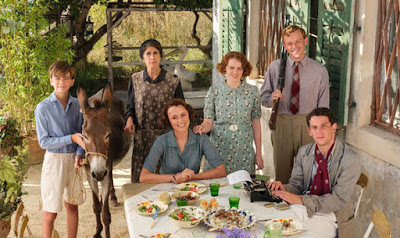 Show centres on Pedro Sanchez, the patriarch of the family, whose code is threatened when his “fresa” brother-in-law (a Mexican yuppie) moves to town and wants to be part of the family. No word whether Kelly and Mark will star in the sitcom. ELLE FANNING AND NICHOLAS HOULT ARE CATHERINE 'THE GREAT' AND EMPEROR PETER OF RUSSIA IN HULU'S NEW EPIC MINI SERIES? Or not so great when you hear who wants to take the lead role. While Sky and HBO are preparing Helen Mirren mini series on the same topic, it seems Hulu is ready to order THE GREAT mini series on famous Russian Tzarina Catherine the Great starring Elle Fanning (Good Lord!) 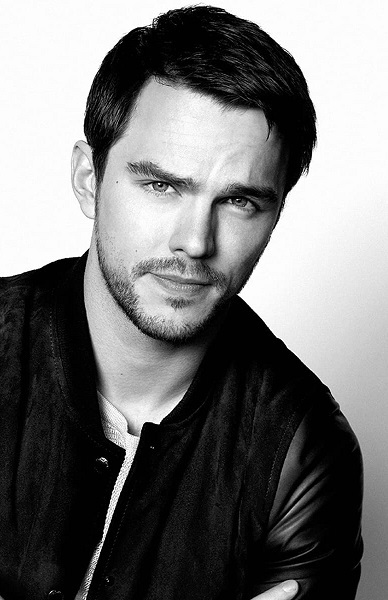 and Nicholas Hoult! She is, apparently, also producing the series which would describe the rise to power of Catherine the Great and her explosive relationship with husband Peter (Hoult), the emperor of Russia! As Deadline reports, Catherine, born Princess Sophie of Anhalt Zerbst, was the daughter of a Prussian general, who was introduced to the prospective tsar Peter of Holstein Gottorp when she was only 10 as part of European Royal families’ use of marriages as a tool for strengthening (and weakening) political ties between countries. Though she admitted to finding him detestable at first, the two eventually married after she had turned 16. Their union was tumultuous, with both rumoured to have extramarital affairs, and Peter’s temper becoming unbearable. Only six months into him ascending to the Russian throne, Catherine organized his opponents to overthrow him to start her successful 34-year rule. He was later on assassinated. RUTA GEDMINTAS JOINS JAMES MCAVOY IN BBC'S 'HIS DARK MATERIALS' FANTASY SAGA AS WITCH QUEEN SERAFINA PEKKALA! Ruta will be new Serafina Pekkala! The shooting is well under way, but BBC still keeps casting roles for their eight episode TV adaptation of Philip Pullman's HIS DARK MATERIALS epic saga. The latest one to join the cast is Ruta Gedmintas from The Tudors, who will play Serafina Pekkala, the queen of the Lake Enara witches. The story, that follows two children who embark on a magical adventure through parallel universes, will see Dafne Keen in the lead role of little Lyra, James McAvoy as Lyra's father Lord Asriel, James Cosmo as elderly Gyptian Farder Coram. Ruth Wilson will be the magnetic and dangerous Mrs Coulter. 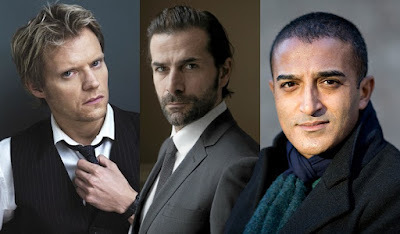 Clarke Peters, Georgina Campbell and Anne Marie Duff (McAvoy's ex wife) also join the cast as the Master of Jordan College, journalist Adele Starminster and Ma Costa! 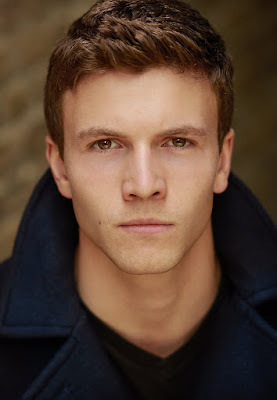 Will Keen (Dafne’s father) will play Father MacPhail, a mysterious man whom Lyra meets at a London society party. 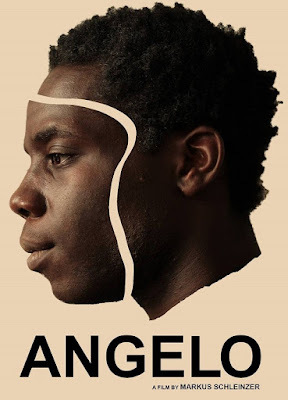 Joining him there is Ariyon Bakare as Lord Boreal. BEN FOSTER TO PLAY CZECH 14TH CENTURY NATIONAL HERO AND WARLORD JAN ZIZKA IN 'MEDIEVAL' HISTORICAL ADVENTURE MOVIE! 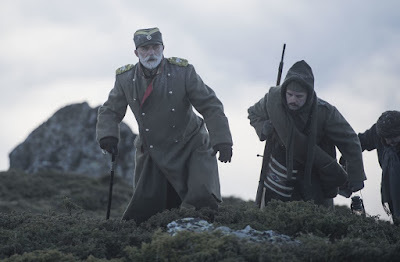 Well, he sure was atrociously miscast and bad in Warcraft, but someone obviously thinks he is still suited for period set movies: Ben Foster will lead the cast of new historical adventure MEDIEVAL which will describe the story of Czech 14th century national hero Zizka (Jan Zizka of Trocnov), a revered military tactician who defeated armies of the Teutonic Order and the Holy Roman Empire. 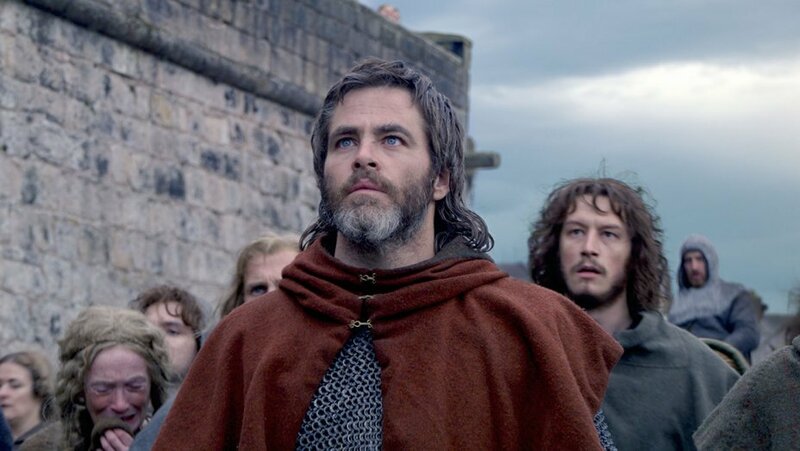 He is known for his innovative strategies and for quickly training peasants to face skilled and armoured opponents who usually outnumbered his own troops. The English language film helmed by Czech director Petr Jákl will also depict his relationship with a local heiress and his face-off against a rival king. 'STRANGER THING' STAR CHARLIE HEATON TO PLAY FAMOUS ELEPHANT MAN IN NEW BBC 19TH CENTURY SET MINI SERIES! Charlie Heaton will take the lead role! working class beginnings in Leicestershire, through the work houses, music halls and freak shows that punctuated 19th Century society; to his time at the London Hospital and his vital friendship with Dr Frederick Treves. Starting with his birth and ending with his death, the series covers the true events of Merrick’s personal odyssey, his extreme courage, determination and human dignity despite challenges arising from his disability. Born in Leicester in 1862, at the age of five years old he began to develop physical deformities to his skin, face, arms and feet. 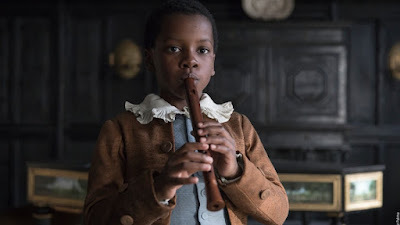 When he was 11 years old, his mother died, his father soon remarried and by 17 he was a resident of the workhouse after his relationship with his father deteriorated. Seeking to escape the workhouse several years later, Merrick found his way into a human oddities show in London where he was exhibited as 'The Elephant Man’. He met Dr Frederick Treves in 1884, after he had witnessed Merrick being exhibited in a shop across the road from the London Hospital. Treves brought Merrick to the London Hospital where he lived until his death in 1890, aged 27. Earlier this week I informed you that ITV's ultra popular period set family drama THE DURRELLS, which sees Keeley Hawes playing a mother who gets fed up with everything and moves herself and children to the island of Corfu, will end after next year's fourth season, and now we have the first info on what is gonna happen in it! The final season starts shooting this month! himself back into his job and shooting. True to form, Gerry (Milo Parker) continues to collect animals, ambitiously planning to open a zoo with a new owl and some lemurs joining the menagerie, and Margo (Daisy Waterstone) seeks a new challenge, starting her own beauty salon. 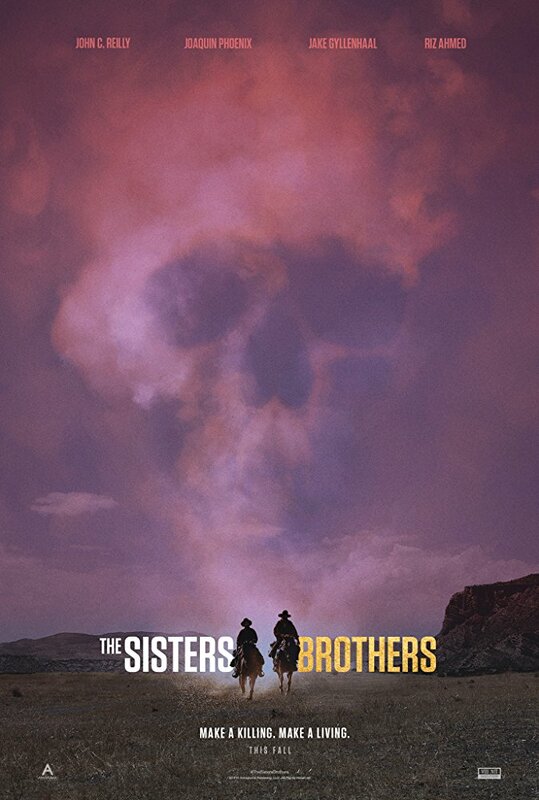 While they're enjoying wild East, over at wild West the first trailer and poster are on the horizon for THE SISTERS BROTHERS which is out this Autumn in cinema starring Jake Gyllenhaal, Joaquin Phoenix, Riz Ahmed, John C. Reilly, Rutger Hauer! longevity of his chosen career. 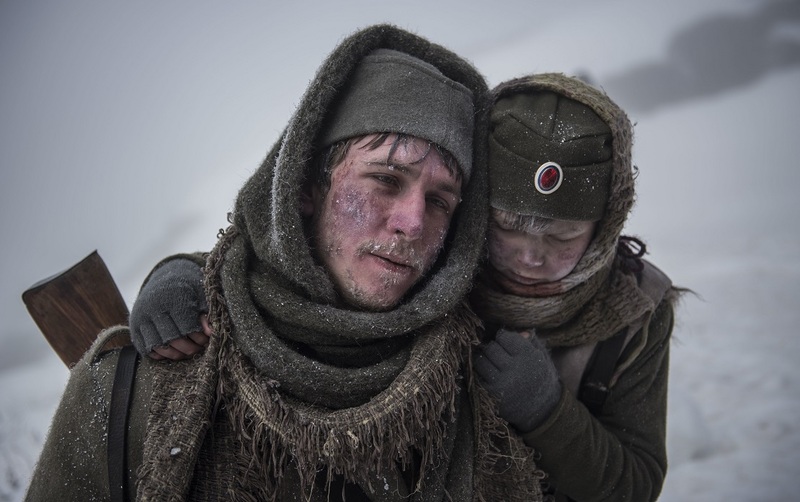 And Hermann might have a better offer. 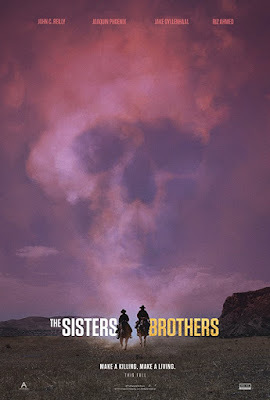 Check out the first trailer below. TOM BATEMAN, MARC WARREN, LEO SUTER TO LEAD ITV'S 19TH CENTURY INDIA SET TV SAGA 'BEECHAM HOUSE'! 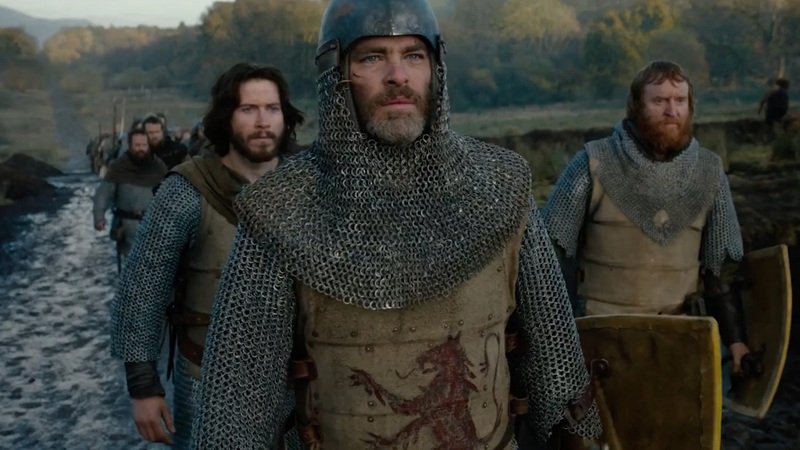 'OUTLAW KING' SCOTTISH EPIC ADVENTURE TRAILER WITH CHRIS PINE, AARON TAYLOR JOHNSON! Pallavi Sharda and Shriya Pilgaonkar will star in the series. licence. 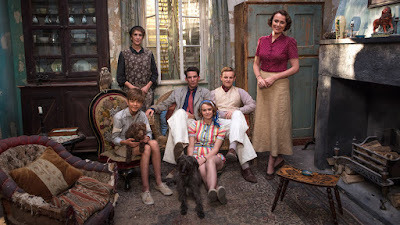 Murad’s daughter, Roshanara, (Kanika Kapur) has an English governess Margaret Osborne (Dakota Blue Richards) whose beauty and intelligence catches John’s attention. However, when beautiful Chandrika (Pallavi Sharda) arrives at Beecham House with her entourage she is shown to luxurious guest quarters and immediately insists on seeing August. 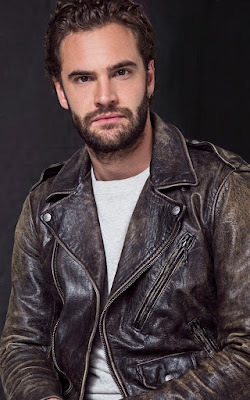 What secrets does Chandrika bring with her to Beecham House? and rallies an impassioned group of men to fight back against the mighty army of the tyrannical King and his volatile son, the Prince of Wales. 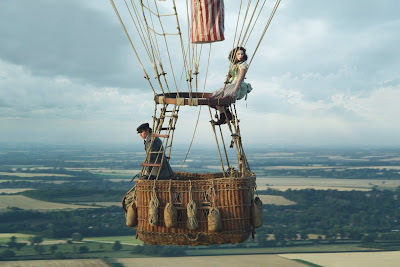 Aaron Taylor-Johnson, Florence Pugh and Billy Howle also star. DEEPLY HAUNTING TEASER FOR HISTORICAL EPIC DRAMA 'KING PETAR I' SET IN THE TRAGIC AND HEROIC TURMOIL OF WW1! either died there from weakness, hunger, wounds and illnesses, (which is why Serbs call the sea around the island the Blue Tomb as the island is small and the dead had to be thrown into the sea, thousands of them) or moved to the Greek front where they will join the fights again. to lose another half more during WW2. 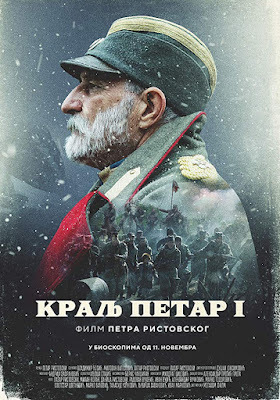 Check out the moving teaser below for the movie which hits Serbian cinemas November and will be turned into a ten part mini series later in 2019! 'My soldier' is what the king says to the kid in the end of the clip. 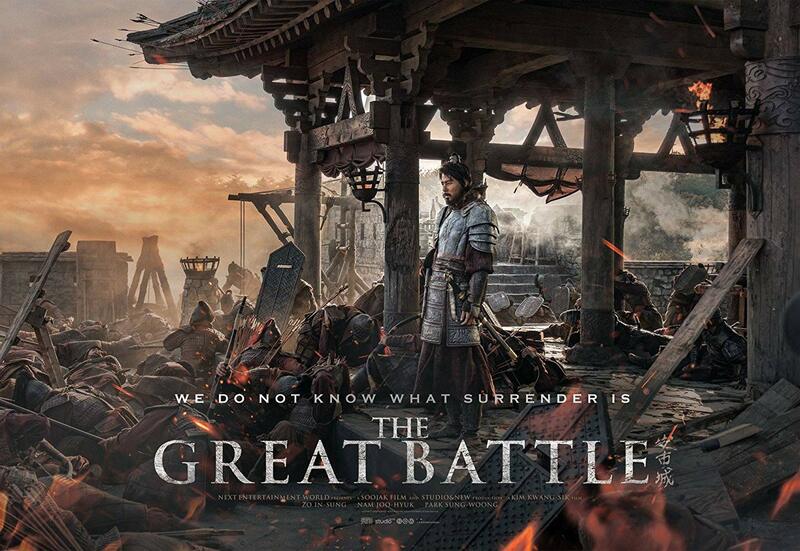 EPIC TRAILER AND POSTER FOR ASIAN HISTORICAL SPECTACLE 'THE GREAT BATTLE' WITH IN SUNG JO! 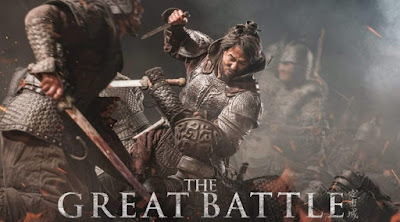 The only thing I have to show you this boring weekend is epic trailer for Korean historical adventure THE GREAT BATTLE (aka Ansi Fortress) which is out next month starring In-sung Jo and directed by Kwan-shik Kim. describes the siege of Ansi Fortress in year 645, and the epic eighty-eight day battle that Yang Man-chun and his Goguryeo troops fought against 500,000 invading Tang dynasty men to defend it. MOVING THEIR COURT TO POP? 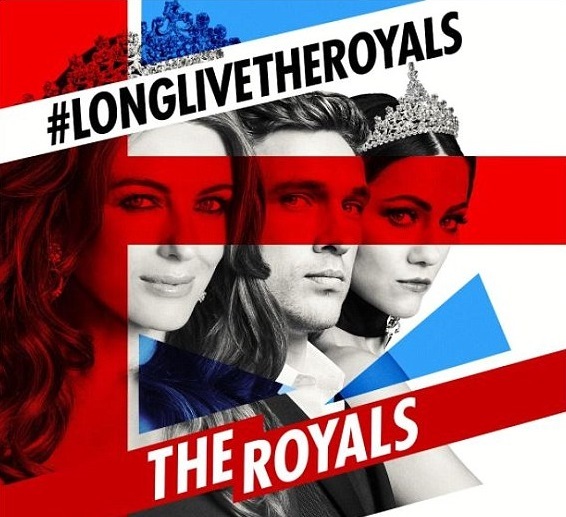 by Elizabeth Hurley's Queen Helena, might still continue if we can believe the rumours that say the producers are trying to find a new channel for the show! They might move to Pop which is also owned by Lionsgate and could use a ratings boost with it. 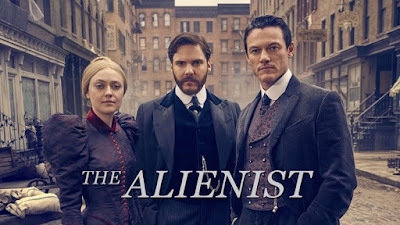 TO BECOME SERIES AT SKY? 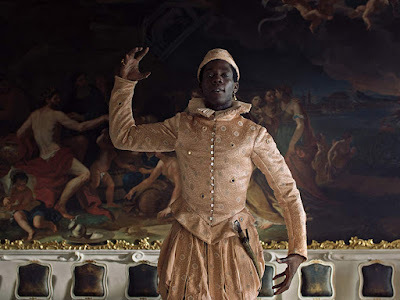 While we are anxiously awaiting to see what they will do with Helen Mirren's Catherine the Great mini series, British Sky is, according to 'Deadline', now also working on a small screen adaptation of H.G. Wells' THE TIME MACHINE to be written by Nick Payne. 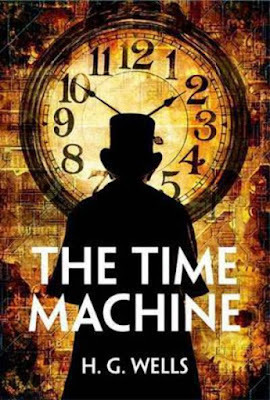 Published in 1895 the novel follows an English scientist living in Victorian England who recounts that time is simply a fourth dimension and demonstrates to his dinner guests how to travel through it. Bruhl and Dakota Fanning will return as a team that, one year after The Alienist at the turn of the century, investigates the kidnapping of a young girl in New York. 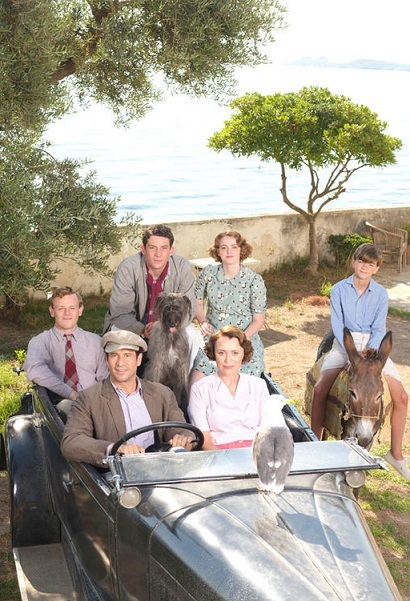 story that follows Keeley Hawes as the mother who moves her kids to the island of Corfu it will end its story a year before WWW2 when they all left the island. First up today some news from the romantic genre! The latest Sophie Kinsella's best selling novel (it has been sold in more than 4 millions copies so far) to be adapted for the big screens CAN YOU KEEP A SECRET? 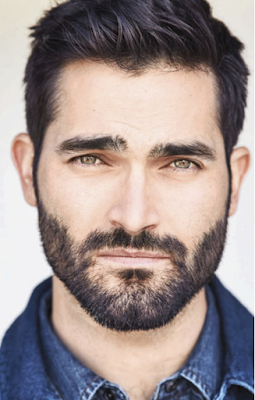 has just signed Tyler Hoechlin to join Alexandra Daddario who is playing the lead role. CAN YOU KEEP A SECRET? follows Emma Corrigan (Daddario), who spills her secrets to a handsome stranger sitting next to her on a turbulent plane ride. That guy happens to be Jack Harper (Hoechlin), the young and elusive CEO at Emma’s workplace. And now Jack knows every single humiliating detail about Emma! 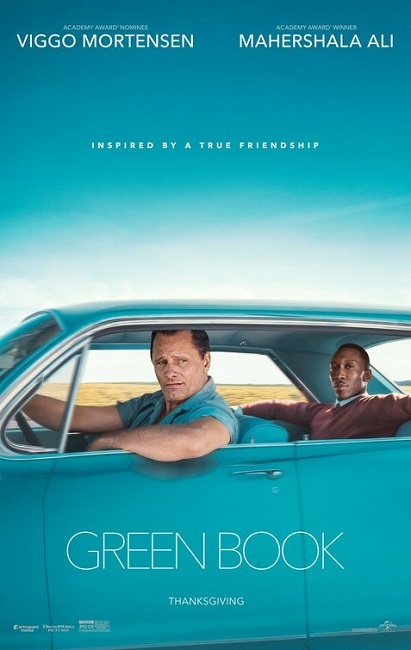 (Mahershala Ali) on a tour of venues through the 1960s American South. 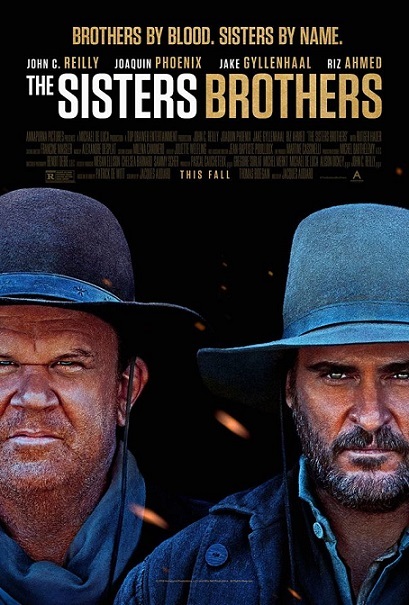 Out November in USA, the film hits Europe in December and January. The latest classic sitcom to get a reboot is DESIGNING WOMEN which finished airing almost 30 years ago! 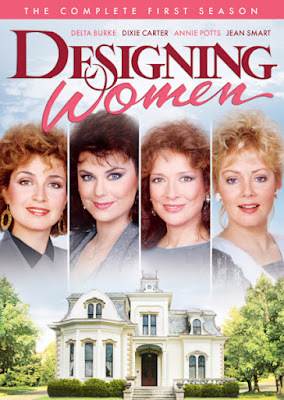 Airing for seven years at CBS (often next to Murphy Brown) it followed the lives of four women and a man working together at an Atlanta interior design firm! Sitcom's original creator is back, but it isn't known if any of the original cast (Jean Smart, Annie Potts, Delta Burke) will be back! Click on the photo to see it in bigger size! 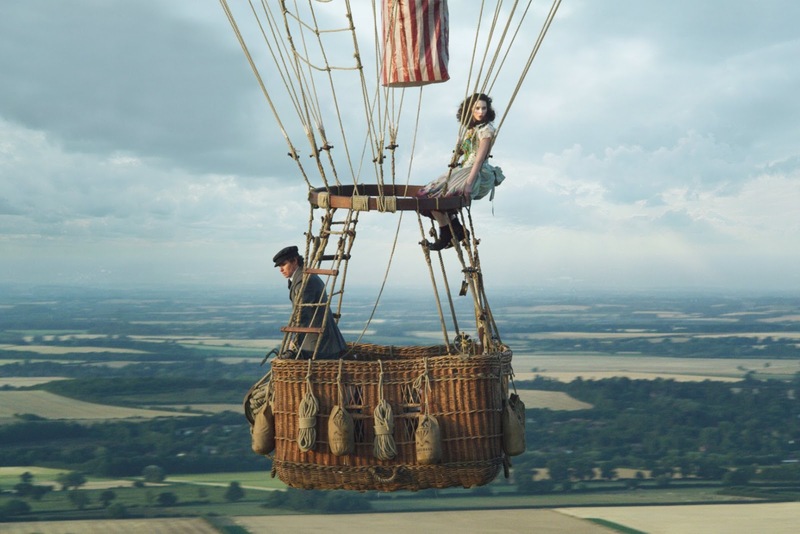 James Glaisher who, back in 1862, find themselves in an epic fight for survival while attempting to make discoveries in a hot air balloon, and today you can check out the first official photo above! Tom Courtenay and Vincent Perez also star. In the trailer department, you can check out the first trailer for new comedy WHAT MEN WANT with Taraji P. Henson! 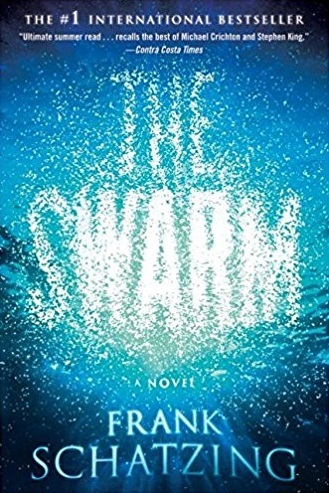 When Ali is passed up for a well deserved promotion, she questions what else she needs to do to succeed in a man’s world… until she gains the ability to hear men’s thoughts. 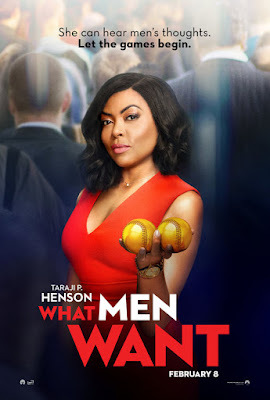 With her newfound power, Ali looks to outsmart her colleagues as she races to sign the next basketball superstar, but the lengths she has to go to will put her relationship with her best friends and a potential new love interest to the test.